Happy Monday, everyone! This past weekend was a productive and busy one in our household! When Kyle came home from work Wednesday evening he surprised me by telling me he had taken the next day off! He’s been working so hard at work lately, so it was well-deserved for him and Isla and I loved having him home for an extra day! We spent most of the day outside enjoying the fresh air and sunshine. (Well, Isla and Kyle did. I sat in the shade because pregnancy + heat = misery.) Kyle started demolishing our shed as we have contractors coming at the end of this week to build a new retaining wall and fence for us. My mom came and picked Isla up for her usual Thursday visit, so Kyle and I headed out to The Keg for an early anniversary dinner! We’ll be celebrating 4 years of marriage on Thursday this week, but since he wasn’t sure if he’d be able to get that day off, we thought we’d celebrate early. Yay! Isla fell asleep on the way home, so Kyle and I watched a movie we had recorded on the PVR before heading to bed ourselves. Kyle’s uncle came over first thing in the morning and he and Kyle started ripping down our old fence and the remainder of the shed! It really didn’t take them long at all and it’s going to look and be SO amazing when the work is all said and done. Kyle’s mom, step-dad and grandparents eventually arrived to help disassemble the makeshift allan block wall and took the blocks to his mom’s place. Isla had her first of two dance recitals in the afternoon, but we spent the morning out in the yard puttering. After coming home and getting Isla out of her dance gear, we headed down to his mom’s for barbecued hamburgers with his family. 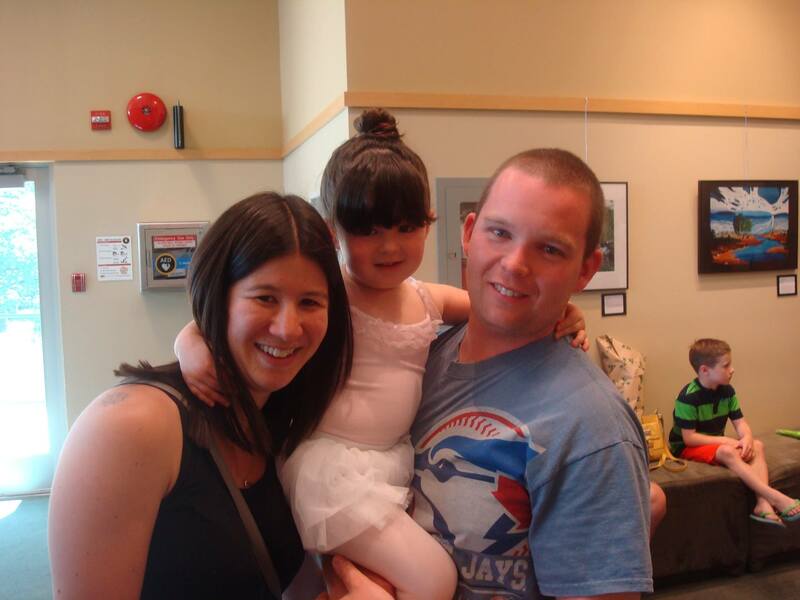 Isla had her 2nd recital that afternoon, but the morning was relatively slow-going before we headed out to do our grocery shopping for the week. Then after lunch, it was time for the recital! My mom came with me to this show, (Kyle’s mom, aunt & uncle, and my dad & his girlfriend went to Saturday’s show), and afterwards we headed out for frozen yogurt to celebrate Isla’s performance. She has her last “class” (which is actually photo day) on Tuesday, and that’s if for the summer! Classes don’t resume until September, so she has all summer to practice everything she’s learned, haha. OMG. 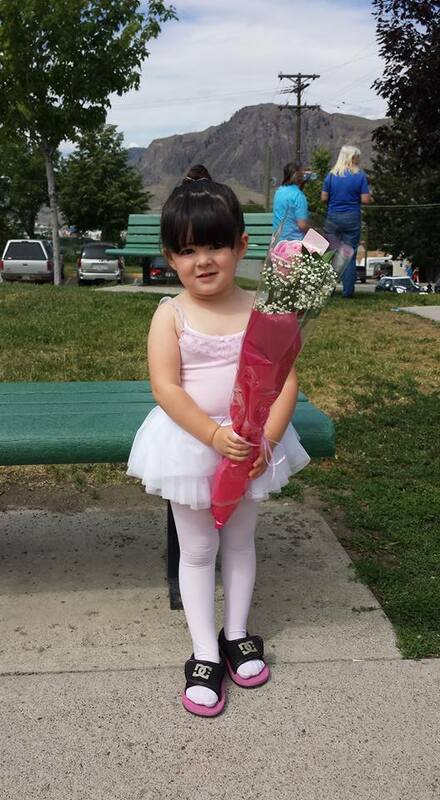 I cannot even handle Isla in her ballerina costume. Melting!